Davido Aza mp3 – Davido, the CEO of DMW label music and one of Naija’s biggest artists is out with his latest single ‘AZA’. ‘AZA’ song by Davido features artists like Duncan Mighty and DMW’s fast-rising artist, Peruzzi. Talking about Duncan Mighty, the ‘AZA’ joint is his first song since coming back from a break. He had previously released the hit single, ‘Fake love’ with Wizkid. You can listen to and download ‘AZA’ MP3 song by Davido below. The ‘AZA’ song lyrics can also be found below if you dig karaoke. AZA by Davido was produced by Fresh VDM. 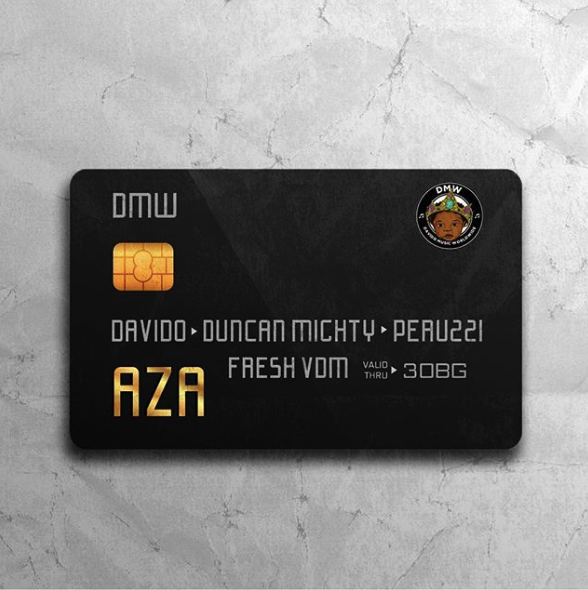 DMW boss “Davido” connects with Duncan Mighty and Peruzzi on his latest single “AZA“. Duncan Mighty who took a break from the music scene a while ago recently returned to the limelight after his hit single with Wizkid “Fake Love” while Peruzzi is DMW’s newcomer and rave of the moment. The song was produced by Fresh and is definitely going to be a banger. Download Davido Aza By Davido Mp3 Below.